LingoNova believes in investing in resources and advanced technology to be able to successfully deliver to our customers. 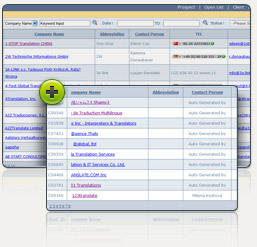 LingoNova Project Management Suite (LPMS) was developed in 2006 by LingoNova's in-house translation and technical team. This system paved the way for the company's successful project management and delivery of over 5,000 projects globally in a span of 4 years. Translation memory and glossary Server allows translation teams to store and reuse both source and target language content for any translation project. LingoNova's translation teams utilize translation memory tools in order to create and maintain multilingual glossaries and translation memories for our clients. These glossaries and memories are the proprietary property of our clients and can be provided to you as part of any project's deliverables. Tool use is client-driven and LingoNova can work with most of the commercially available Translation memory & glossary technologies.